This was a fun match. Everybody got to do a little something in the match and the action never really slowed down. The final segment of the match was fun and had an extended sequence where one of the Usos was trying to make a tag. It was well done. I liked Titus throwing Breeze into Stardust as well. 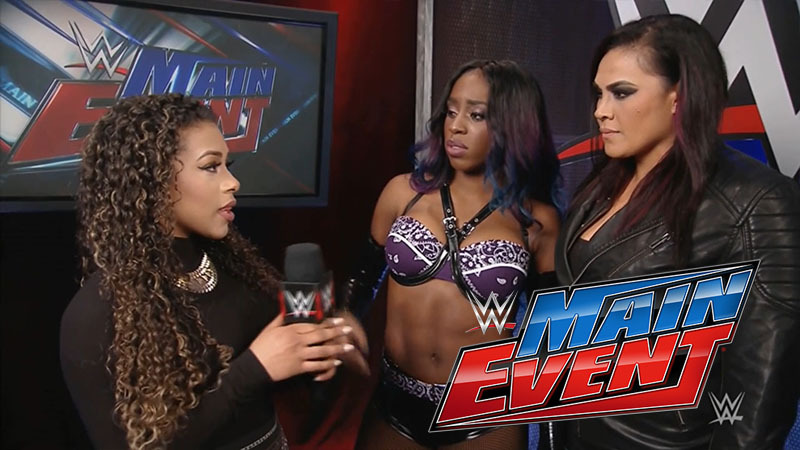 Jojo asks Tamina and Naomi if they can justify attacking Sasha Banks. Naomi says Sasha betrayed them, not the other way around. Tamina says that baby birds who fly high crash hard. Naomi says she and Tamina never needed Sasha. An okay match, but it was short and really did feel rushed. The match they had on Superstars a little over a week ago was better. WWE celebrates Black History Month with a look at Mark Henry’s career. Good match. It was a decent length and hard fought. Paige was isolated by Naomi and Tamina for a good portion of the match and Natalya’s hot tag was exciting. I really wasn’t sure who was going to win this match which made it very interesting. I had a good idea, but the way they did the match really made me feel like I was wrong up until the end. Main Event seems to make a habit of good matches bookending an okay or average one. This show was the same. I really did like the main event of the show. It felt important, like it was actually building characters rather than just passing time between RAWs. Any match that can keep me guessing and feels important is good. This match did those things. It was engaging and was a far superior match to the others on the show.